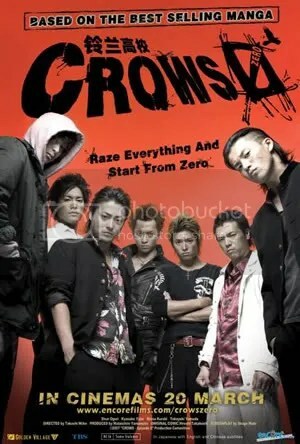 “Crows Zero” is going to get a sequel, news confirmed yesterday, and the new sequel is expected to be out in 2009! This manga-to-film adaptation was a hit when it came out last year, and its sequel is expected to create another commotion close to release. Oguri Shun is confirmed to continue the role of protagonist Genji Takaya and training has already started for him (busy man! ), and director Takashi Miike calls the shots once again this time round. Other members of the cast are not yet mentioned, though it’s clear that Kyosuke Yabe is also resuming his role. Stay tuned to Crows Zero 2..